Morgan James Fiction, 9781683506973, 340pp. When Randle Marks buried his abusive father three years ago, he thought he had escaped the gravitational pull of his dysfunctional family. Living in Florida, Randle was convicted of a crime he didn't commit, served his time, wrote a book about his scientific work, and laid plans to marry his college sweetheart. Then his new beginnings were interrupted by his mother's medical emergency. 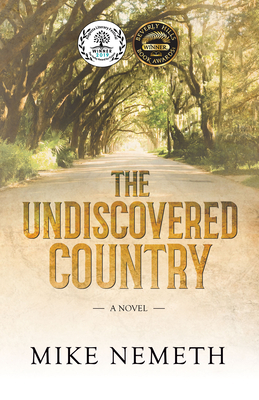 He is summoned to his boyhood home of Augusta, Georgia to face long-suppressed memories, contemptuous siblings, and his dying mother's desperate attempts to conceal her secrets and preserve her dignity. He battles dispassionate doctors who are reluctant to waste resources on a terminal patient and discovers that his mother's fate may not be an act of God. While investigating her medical situation, he uncovers conspiracies to hijack two estates--his mother's modest estate, and that of a wealthy man who claims to be his birth father. To bury the past, he will have to learn the truth about the past. Randle embarks on a journey through contemporary end-of-life rituals juxtaposed with Old South traditions and the fading mores of his mother's generation to untangle the layers of lies that enshroud his family's history. As he learns truth after truth, Randle is challenged to solve a murder no one knew had been committed, prevent the embezzlement of a stranger's wealth, and solve the riddle of his own identity. He is challenged to choose between greed, revenge, and reconciliation.